Created by Jo Malone CBE, Jo Loves celebrates the founder’s treasured memories and moments in a divine new scent, bath, body and candle collection. An immediate cult classic, A Home Candle will instantly upgrade any space to a new luxurious level with its crisp and clean silver, white and red packaging. 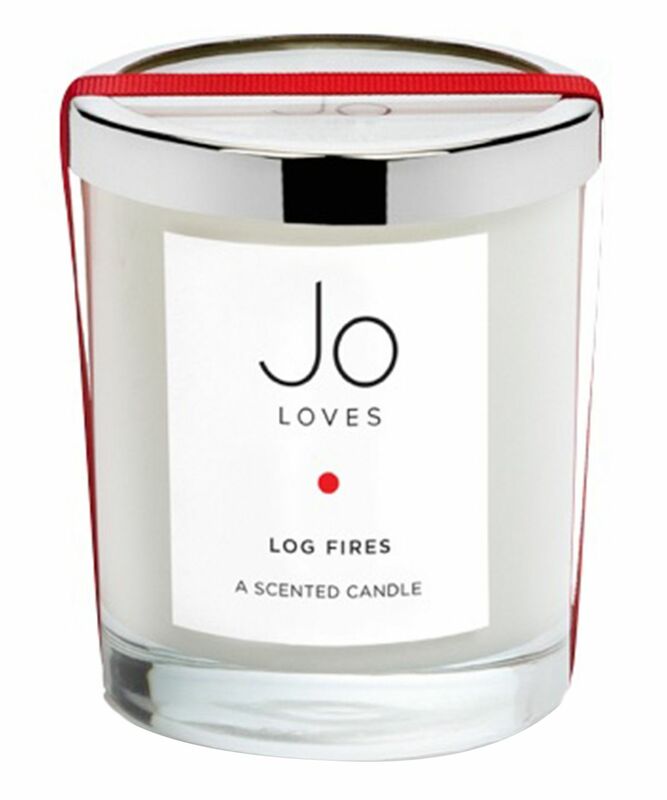 Available in three sumptuous scents (‘Pomelo’, an energising grapefruit-inspired citrus; ‘White Rose & Lemon Leaves’, an elegant white rose, citrus and cedar wood blend; ‘Log Fires’, a warm and smoky sophisticated scent) each candle has a burn time of 37.5 hours and is hand-poured in England. We want one of each! A Jo Loves classic, expertly formulated by the 'English scent maverick' behind some of the world’s most adored fragrances, Jo Malone, each of these gorgeous candles is highly dosed with bewitching fragrance. Presented in a luxe gift box, with a silver glass lid and finished with a simple but eye-catching red ribbon band, A Home Candle is the perfect gift for a fragrance-phile, or as a treat for yourself (and your home!) The only problem is trying to pick which scent to fill your space with first... 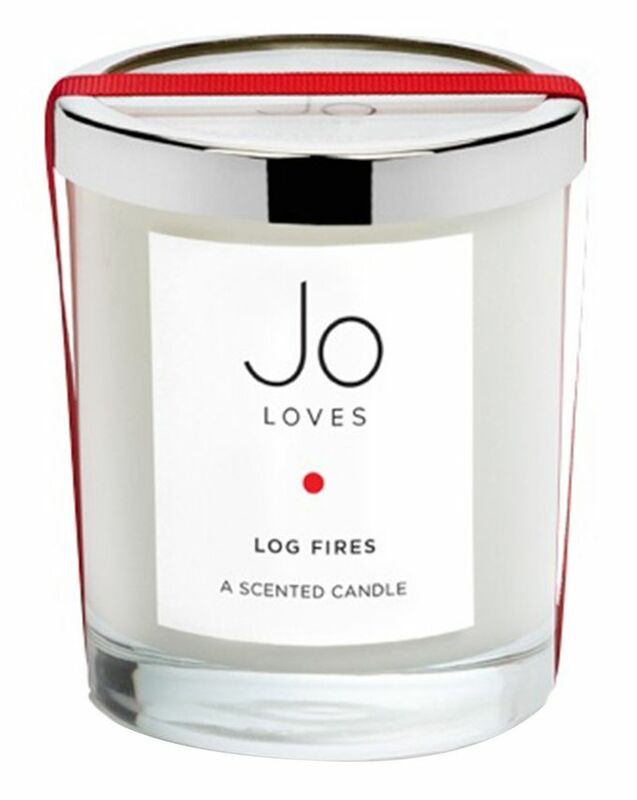 There's ‘Pomelo’, a brand classic with an energising grapefruit-inspired citrus scent; ‘White Rose & Lemon Leaves’ an elegant white rose, citrus and cedar wood blend or ‘Log Fires’, a warm, smoky and sophisticated scent reminiscent of real log fires. Each hand-poured candle has a burn time of 37.5 hours and is a must for all chic interiors. 1-(1,2,3,4,5,7,8-Octahydro-2,3,8,8-teramethyl-2-naphthalenyl)ethanone, d-Liomonene, Nerol, Vetiveryl acetate, alpha-Hexylcinnamaldehyde, alpha-Methyl-1, 3-benzodioxide-5-propionaldehyde, alpha-PInene, di-Citronellol, laevo-Carvone, omega-Pentadecalactone. 4-Cyclohexyl-2-Methyl-2-Butanol, Geraniol, Phenethyl Acetate, Phenethyl Alcohol), 1-(2,6,6- Trimethylcyclohexa-1,3-Dienyl)-2-Buten-1-One, Citral, Geranyl Acetate, Nerol, Alpha-Methyl-1,3-Benzodioxole-5-Propionaldehyde, Delta-1-(2,6,6-Trimethyl-3-Cyclohexen-1-Yl)-2-Buten-1-One, Dl-Citronellol. 1-(1, 2, 3, 4, 5, 6, 7, 8-Octahydro-2, 3, 8, 8-Tetramethyl-2-Naphthalenyl)Ethanone, 6,7-Dihydro-1, 1, 2, 3, 3-Pentamethyl-4(5h)-Indanone, Formaldehyde Cyclododecy Ethyl Acetal. &#1054;&#1095;&#1077;&#1085;&#1100; &#1082;&#1072;&#1095;&#1077;&#1089;&#1090;&#1074;&#1077;&#1085;&#1085;&#1072;&#1103; &#1089;&#1074;&#1077;&#1095;&#1072; &#1089; &#1080;&#1085;&#1090;&#1077;&#1088;&#1077;&#1089;&#1085;&#1099;&#1084; &#1072;&#1088;&#1086;&#1084;&#1072;&#1090;&#1086;&#1084; ***Very high quality candle with an interesting aroma. Пахнет даже не зажжённая. Передача аромата превосходная ***It smells, even when not lit. Excellent aroma. I got the white rose and lemon leaves candle into one goody bag and it smells like heaven! This is a really springy smell! My room smells so nice! I recommend it a lot, but i's really expensive! Yes, smells incredible. Not too heavy as to get you dizzy, not too light as to forget it's burning, but rather like having fresh flowers in the room (white rose and lemon leaves). Thinking about trying the Pomelo one next.